Are the spammers hitting your mailbox? If you’re getting overwhelmed with spam in your mailbox we have an answer. Spam Incinerator. What is Spam Incinerator? Spam Incinerator is a service we have started offering that will significantly reduce the amount of spam making into your mail box. What is Spam Incinerator? 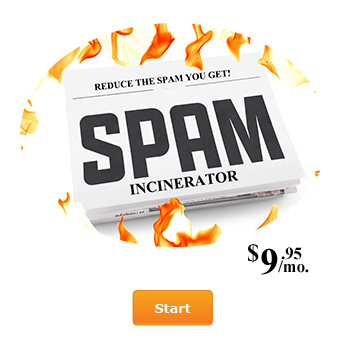 Spam Incinerator is a service we offer that will significantly reduce the amount of spam making it into your mailbox. Start Today Sign up for your Spam Incinerator Account today. We’ll install it and get control of your Inbox back to you.